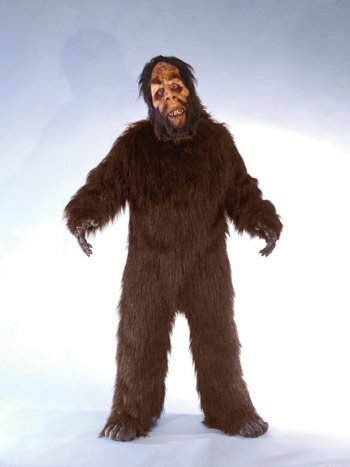 Big Foot's existence may not be confirmed but you'll have people thinking he's real when you show up wearing this costume. 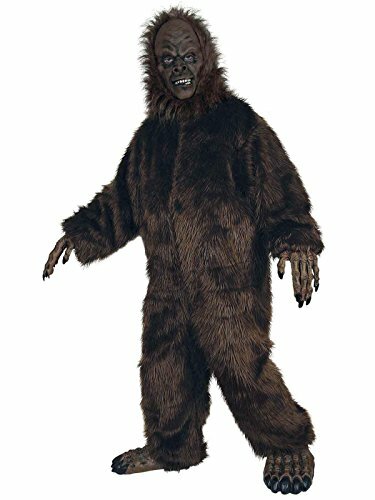 The Big Foot Costume is a great costume idea for men and women includes a hairy character mask, large feet with faux fur, and a faux fur bodysuit that is sure to send more than a few people running for the hills. You'll be sure to scare and amaze almost everyone you see on Halloween when you wear this outfit. 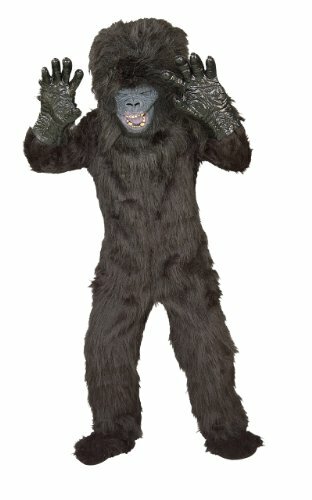 Your little monster will be badder than King Kong dressed in this children's Gorilla suit. 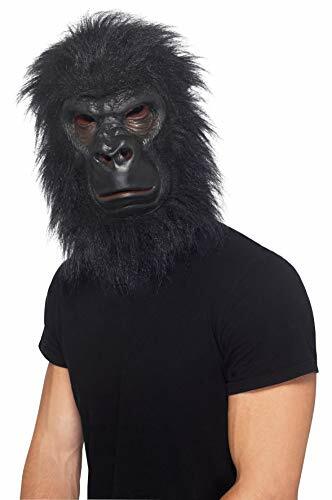 This Child Gorilla Costume includes a scary character mask, a hairy jumpsuit, and hands. 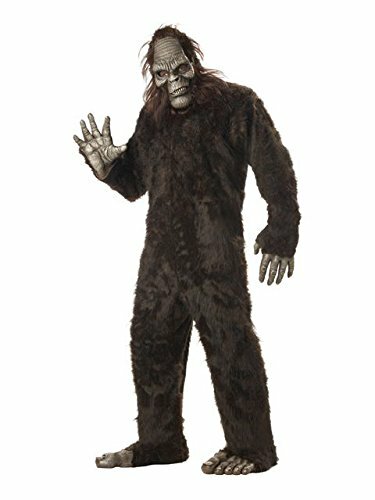 Whether your child is looking for a scary Halloween costume to wear trick-or-treating or needs a scary Bigfoot costume to wear on a camping trip to scare their siblings and friends, they are sure to have a ROARing good time dressed in this scary gorilla costume. Bigfoot prefers to stay out of sight, but as rumor has it, your best chance for a sighting is actually on Christmas Eve. Why, you ask? Well you see, sasquatches (sasquatchi?) have a this pretty lucrative side gig working for ole' Saint Nick. 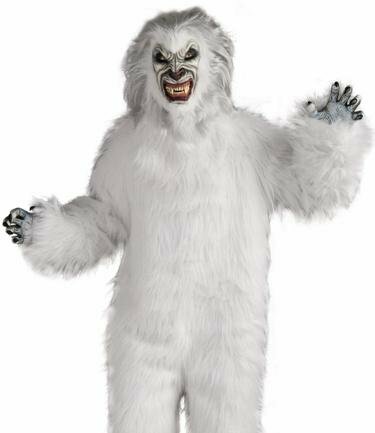 While he's busy hopping from roof to roof in the big cities, the Christmas Yeti is more than happy to gather and deliver presents to all the kids in rural destinations...especially out west. Oregon, Washington, you know you've glimpsed the Christmas Yeti from time to time. Why not grab this fun Christmas sweater to wear to this year's inevitable sweater party? You can show off your affinity for more playful Christmas lore. Wow your pals--especially Mikey, who's thrifted sweater looks like it once had another life as your aunt's kitchen towel. 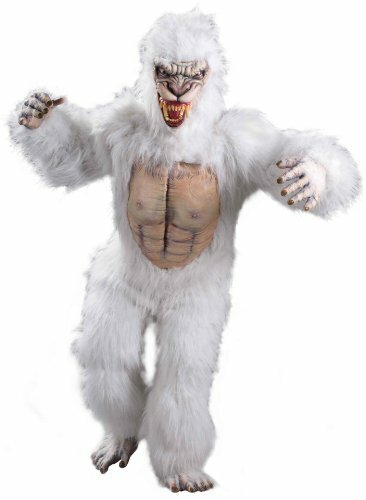 You might be too old to be on his list, but you can still cross your fingers and hope for a sighting of the elusive Christmas Yeti! 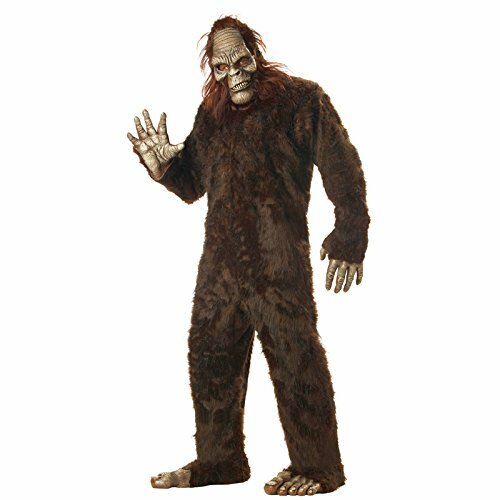 This professional-quality Bigfoot Mascot Costume is made in the USA.